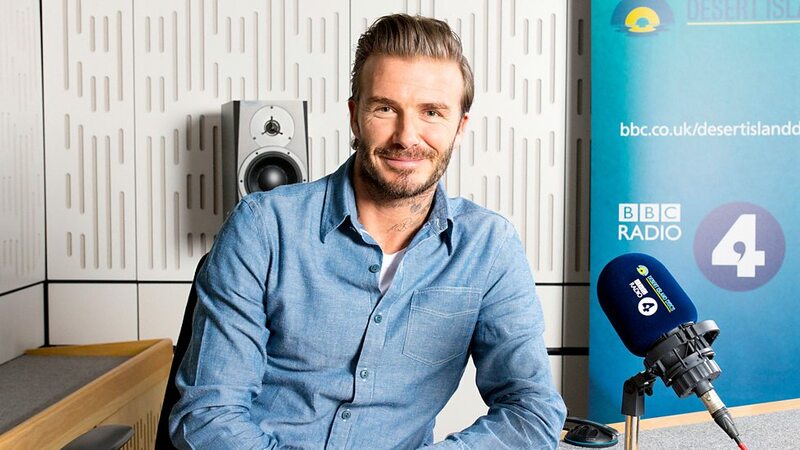 Last weekend David Beckham was the special guest on the 75th edition of Desert Island Discs, a popular BBC radio programme in which guests pretend that they are being cast off on a desert island and choose their all time top favourite piece of music and book for company. This format lends itself to revealing moments. There was one such moment, chilling in my view when he was talking about his father who he described as “a bit of a taskmaster”. From an early age, David would practise football in a local park with his father and a goal with no net. “Hit the cross bar, hit the cross bar,” his father would say “for hours and hours”. David played for a local youth team on Sunday mornings, and his dad would pick apart “every single detail” of his game afterwards. He was only seven years old. On one of these occasions, he recalled blurting out “I’m really sorry, I didn’t mean it”. I bet it did. One hundred caps it took, rendering taskmaster a very generous epithet indeed. David Beckham didn’t criticise his father. In fact, he defended him using the classic “tough love” defence. He did this using the same, consistent and gentle tone of voice he used throughout the interview except once, when referring to his father’s approach to child-rearing he said: “if [children] can do better…they need to know”. His voice cracked on the word need, betraying less belief in his father’s methods than perhaps he let on. It was the first hint of acknowledgement that there might be a mid-point between being brutal on a child in the service of a greater need and acceptance of impact of that brutality. I use word brutal deliberately. Let’s give bad things bad names. You may well argue that the end justifies the means and you may be right. David Beckham has done very well indeed, by any standards. And he credits his father in particular with building in him “this work ethic”. So what’s not to like and what is the connection to CEOs and Boards? The issue here isn’t about passing judgement on David Beckham’s father. Armchair psychologists may wonder about the connection between his father’s “failure” to succeed in professional football himself. They may make a connection between this and his obsession with David’s success. But who’s to know what his father’s motives were? And why wouldn’t we take him at his word? It doesn’t matter. What matters is what we can learn from him. As students of leadership, the only reliable lessons we can take from this story is that success comes at a cost, decisions taken in formative years impact later years and it’s probably best not to take exceptional examples as role models. Even David Beckham went further than hints in the interview as to the personal emotional cost, even if reluctantly: “At times it is upsetting for any child…to be pulled up…I’m a lot softer [with my children] than my dad was with me.” I found these understatements quite moving. My guess is, and it’s only a guess, that he suffered much more than he concedes. I’ve always held the view that tough love is an oxymoron. But it’s the connection between decision making in formative years and later behaviour that CEOs and boards might find useful in their assessment of their success and their leadership of others. While not on the same scale, many CEOs and board members that I have worked with over the years share David Beckham’s core storyline: utterly driven to march to, or against, the drumbeat of their formative years. I advise CEOs and board members how to confront early decisions, assess the extent to which they are still marching to that old drumbeat and then to decide whether they want to fashion not just a new beat, but a new drum and sticks – the whole drumkit. Then they can create an environment in which the people they lead can do the same. One CEO acknowledged that because he was never allowed to fail as a child, he trusted no one, and that was why he had a reputation as a micro-manager. One of his directors acknowledged that he never took responsibility for mistakes probably because he too suffered from the silent killer of peace of mind: shame. Guilt means I did something wrong; shame means I am bad. The latter is a pestilence, which stalks our boardrooms. Shaming language at board meetings is ubiquitous and is the enemy of business growth. How can people be what they can be if they are made to feel ashamed? The CEO I mentioned committed to my small change programme and agreed to reduce his micro-managing behaviour by 10% – that’s just a reduction of ten interactions in very hundred. That’s small change, but it’s very hard to do, and it requires a stretch. This CEO was so competitive that, true to type, he reported that not only had he micromanaged ten times less but that he had “doubled that to 20% less!”. And I believed him because he said that his team were happier – no kidding; and he said had more time – surprise, surprise. I asked him what was he going to do with all this recovered time previously spent micro-managing? He didn’t answer, but my guess is that now that he could trust more, he could risk more, and business growth is all about managing risk. The great names in sport, music and film achieve greatness because of specific drivers and behaviour. We can learn from these. But we shouldn’t forget that their greatness is exceptional and their behaviour not necessarily the best model for ours. That said, I wonder if David Beckham’s interest in and his dogged creation of his own fashion brand was his way of taking back control of his life. If so he deserves to be called a great model in more ways than one. Posted on February 2, 2017 by Ciaran Fenton. This entry was tagged CEO, david beckham, leadership. Bookmark the permalink.